The shelters at Union Square and Court Square may be reserved by individuals and organizations for gatherings and events. The shelters are available for rent from Memorial Day weekend through November 1st. Reservations will be taken beginning January 1st of each year on a first come basis. Standing reservations for yearly events (i.e. family reunions, graduations, etc.) will not be accepted. The shelter rental fee is set each year by City Council resolution and is subject to change. *All shelter rentals, including non-profit, require a $50.00 damage deposit fee to be refunded upon inspection of shelter and/or when key is returned. Applicant must complete the park rental application and pay appropriate fees. Reservations are not valid until payment is received and application is approved. All applicants must be at least 18 years old to reserve Park Shelter. Contact City Hall to check availability at 952-873-5553. Cancelation fee is $15. To avoid $15 cancelation fee, cancelations must be at least two weeks prior to the day of rental in order to receive a full refund. Park Shelter key may be picked up at City Hall on Wednesday, Thursday or Friday 8:00am – 4:00pm of the week of your reservation. Key must be returned with two business days. 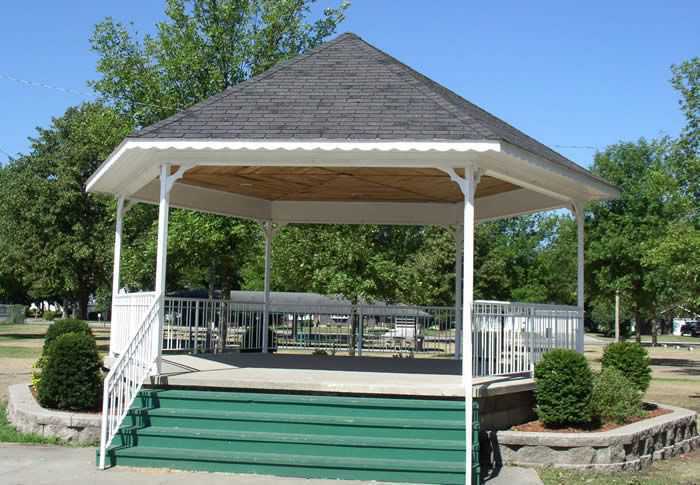 The park shelter will be available for your use for the date you reserved. You may not store items or utilize the park shelter earlier than your rental date. All waste and litter shall be disposed of in the trash receptacles. You are responsible for cleaning and properly disposing of all garbage. Parks hours are from 7:00am – 9:00pm daily. Do NOT turn off or unplug the refrigerators. The refrigerators are to remain on at all times. No tents or other alternative shelter may be installed that require staking into the ground. Inflatable jumpers are prohibited unless you provide certificate of insurance with a $1 million dollar general liability, $1 million dollar umbrella coverage and sign a waiver releasing the City of Belle Plaine from all liability/injury. *Please note a Large Assembly Permit may be required for Organizations/Individuals holding special events.